Supports all Ness radio devices, (encrypted and non-encrypted), including Ness radio Keys, radio Keypad, radio Pirs, radio emergency button, radio reed switches and radio smoke Detectors. Four wire serial connection to the control panel. 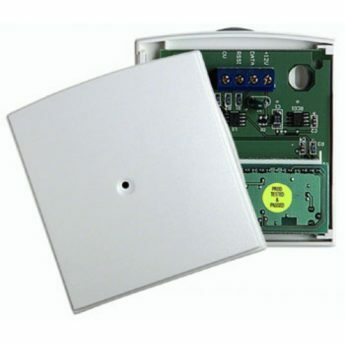 The radio interface supports up to 14 radio keys each capable of reporting user ID to monitoring station and capable of being programmed to access one or more partitioned areas. Ness Radio PIR and Radio Reed switches.